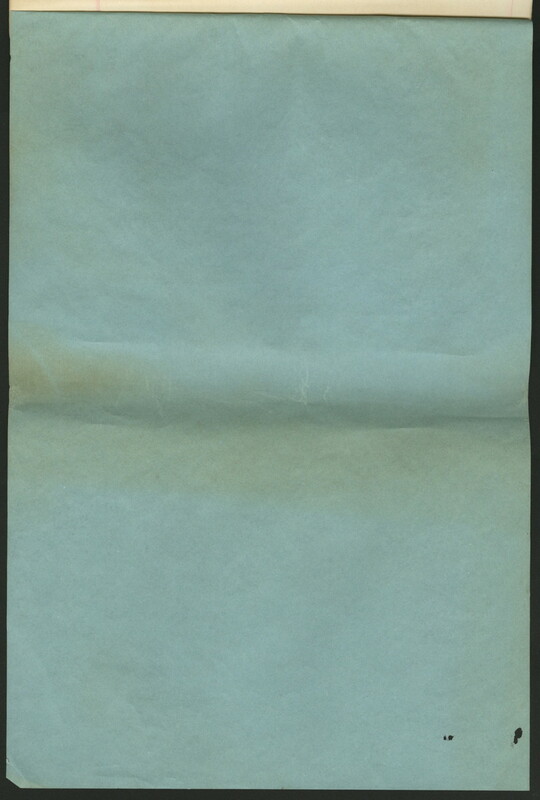 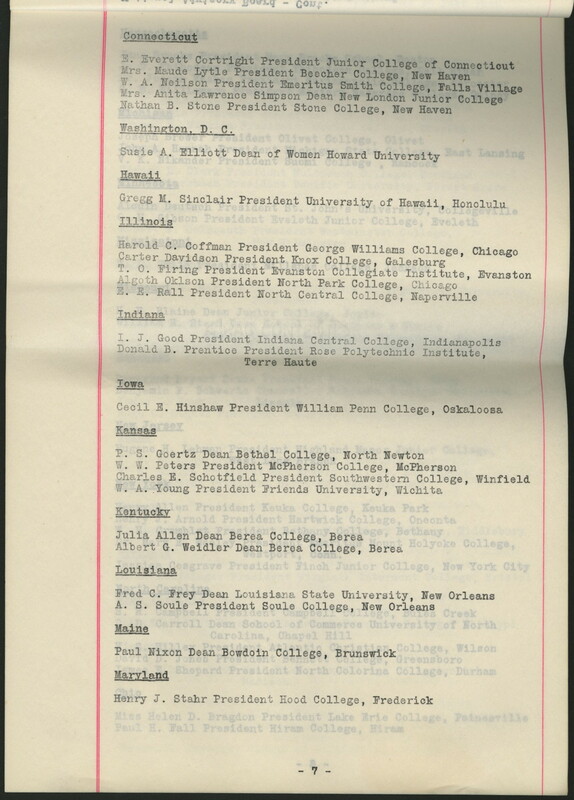 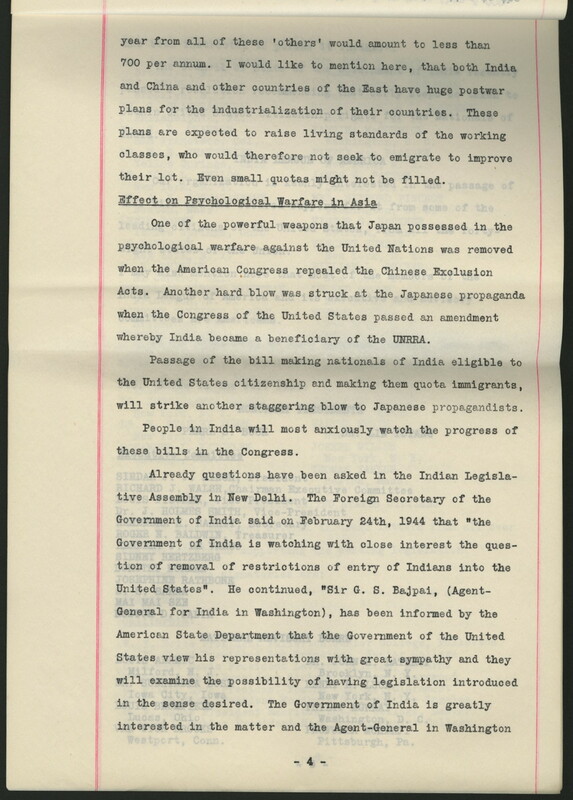 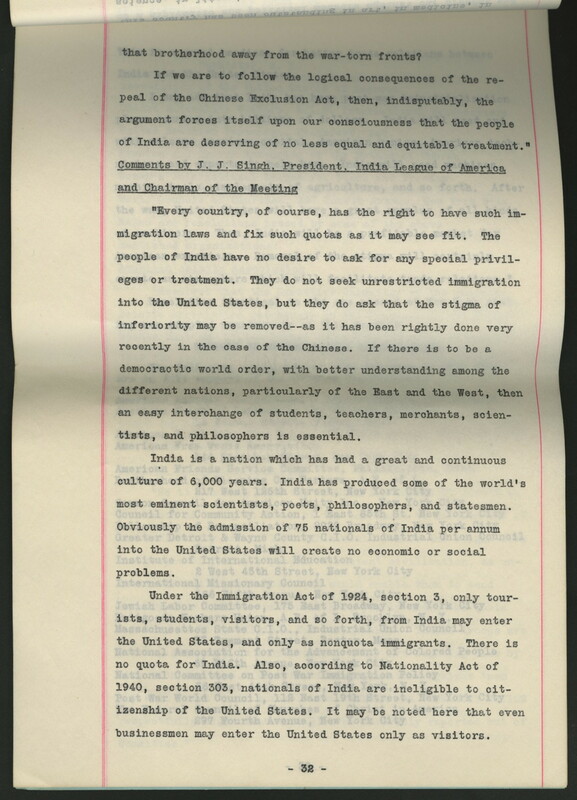 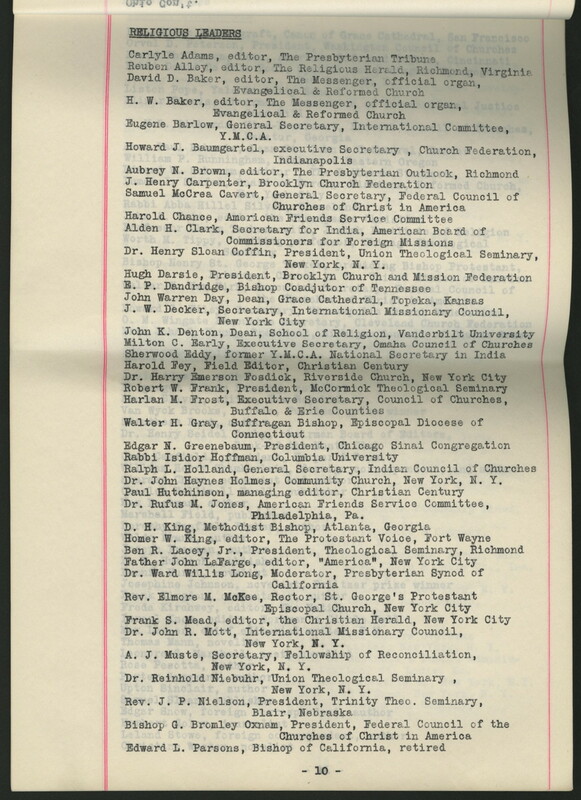 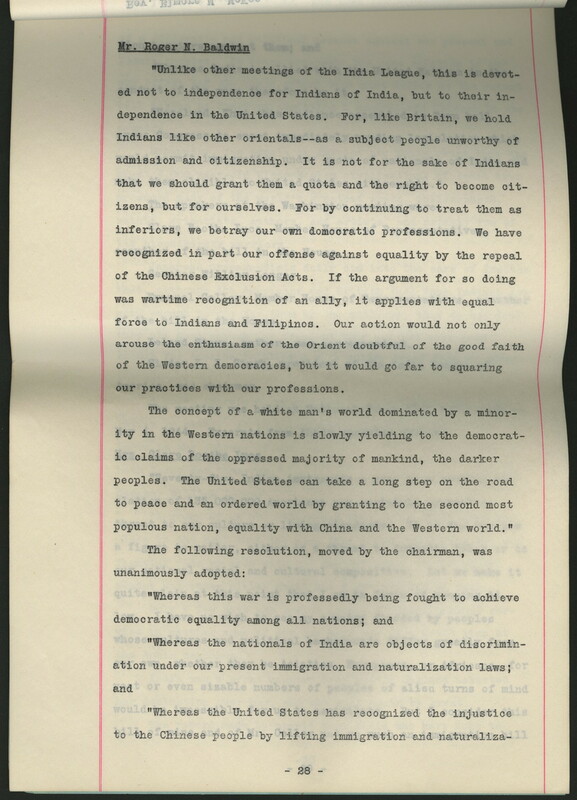 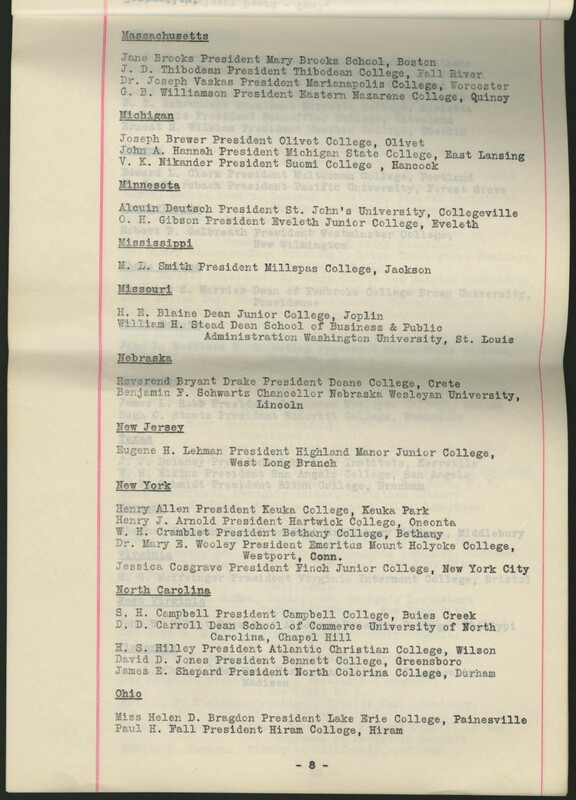 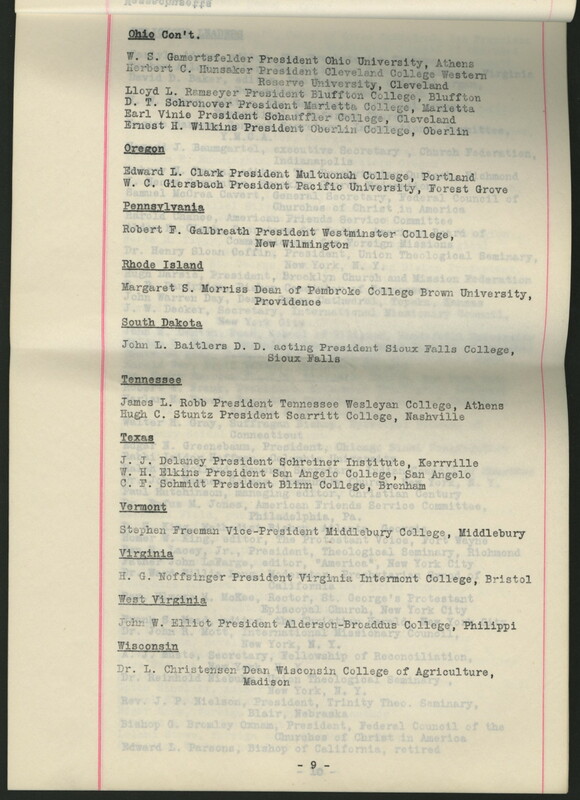 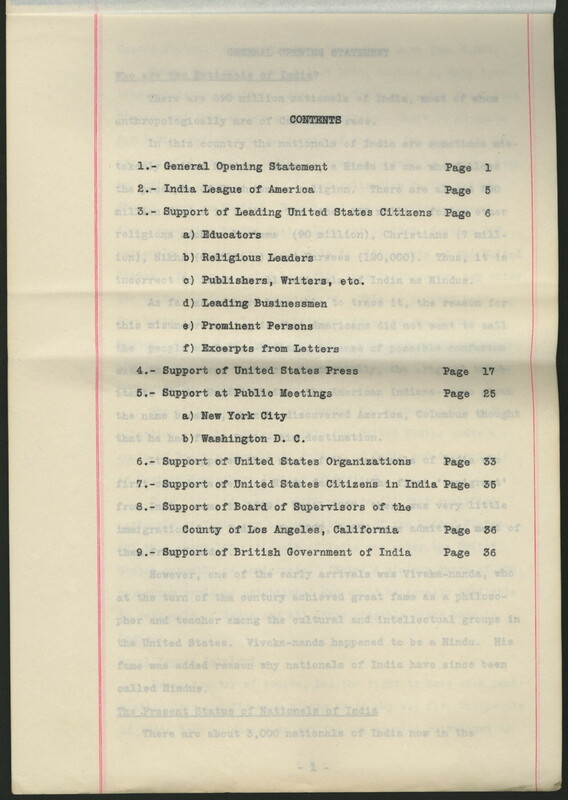 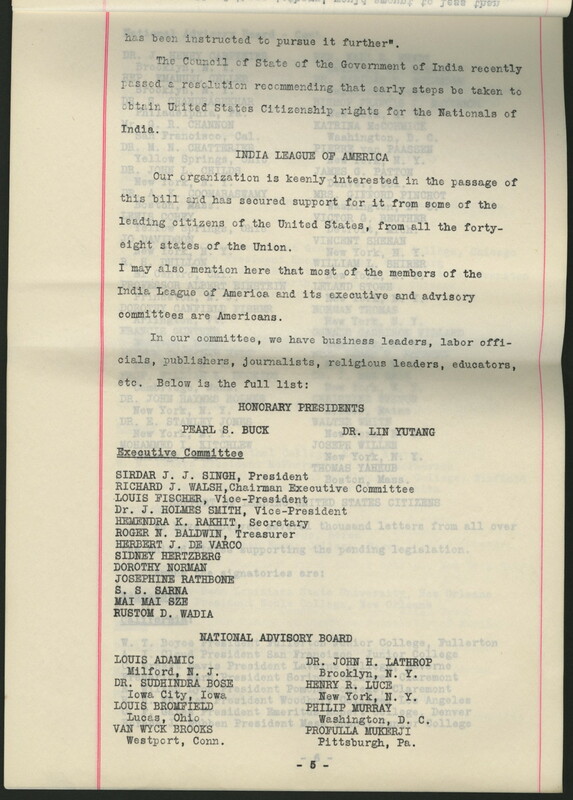 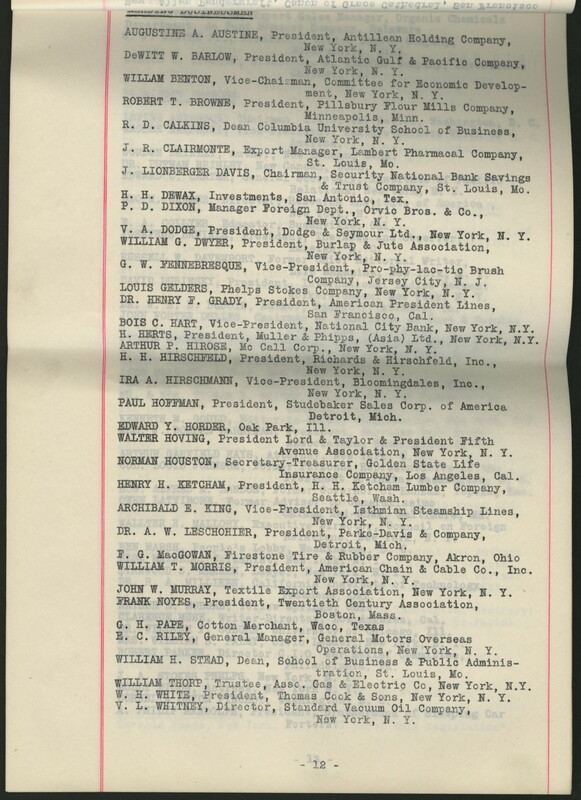 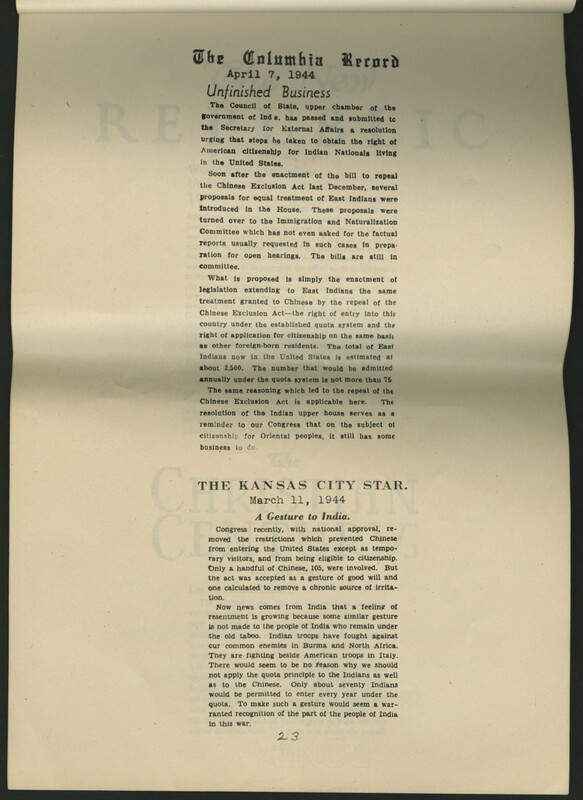 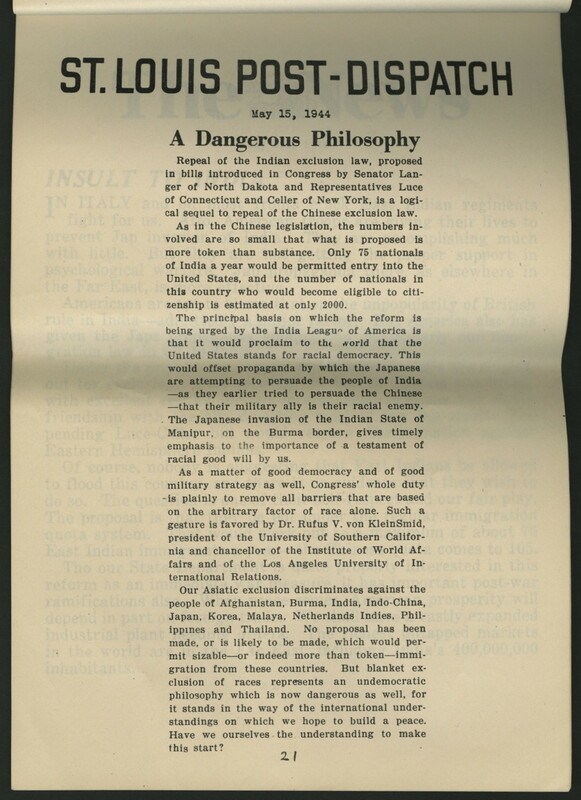 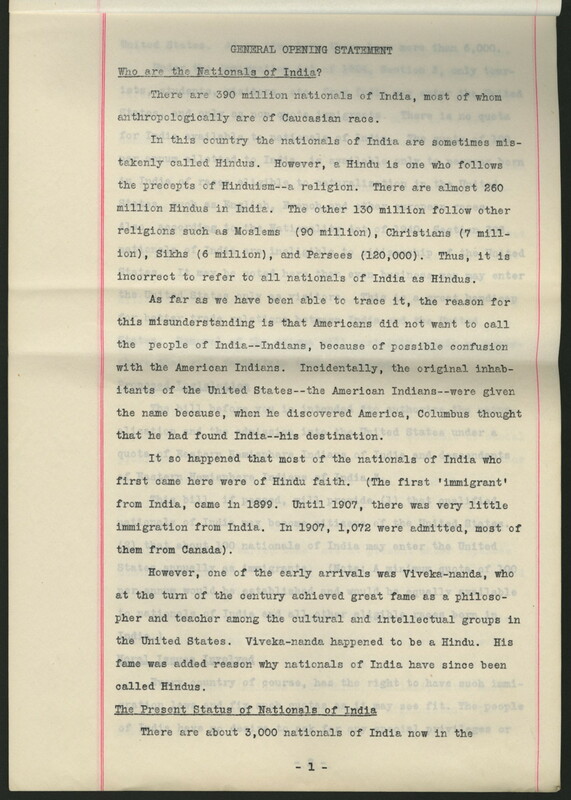 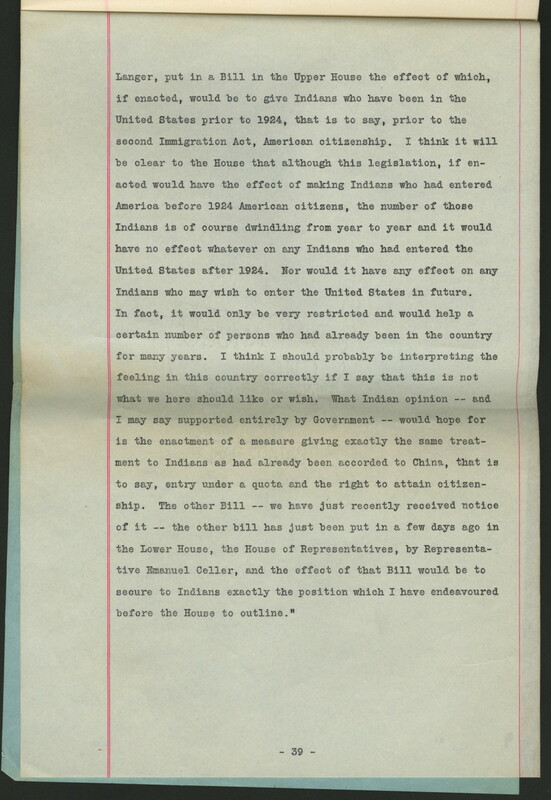 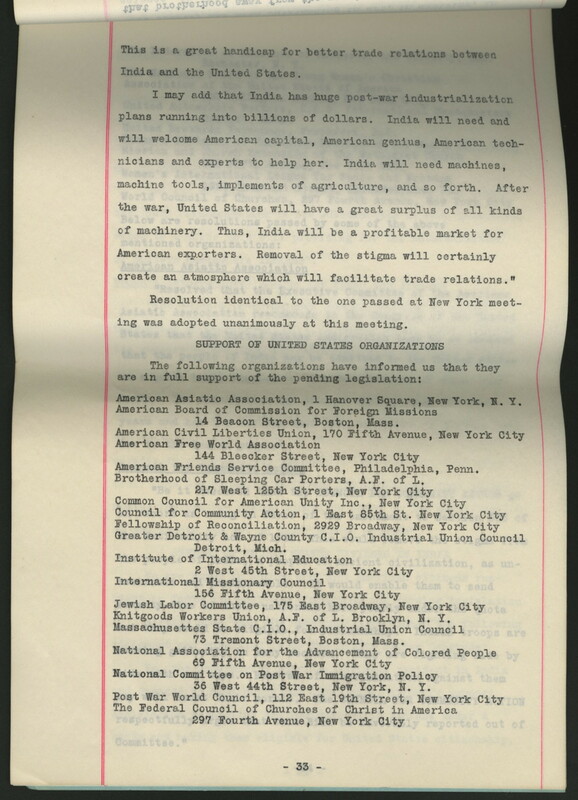 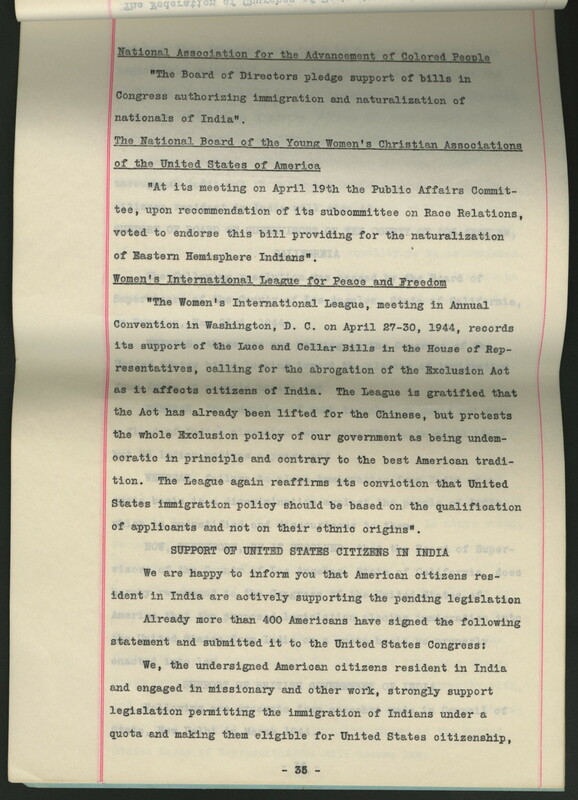 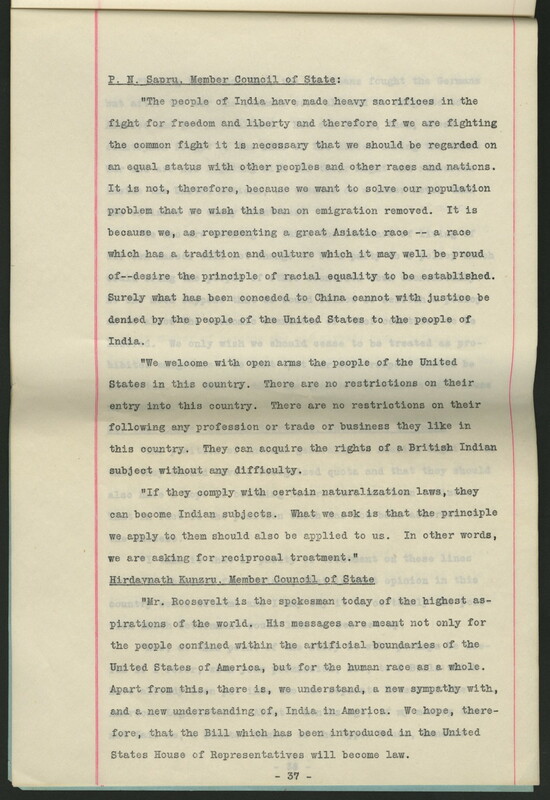 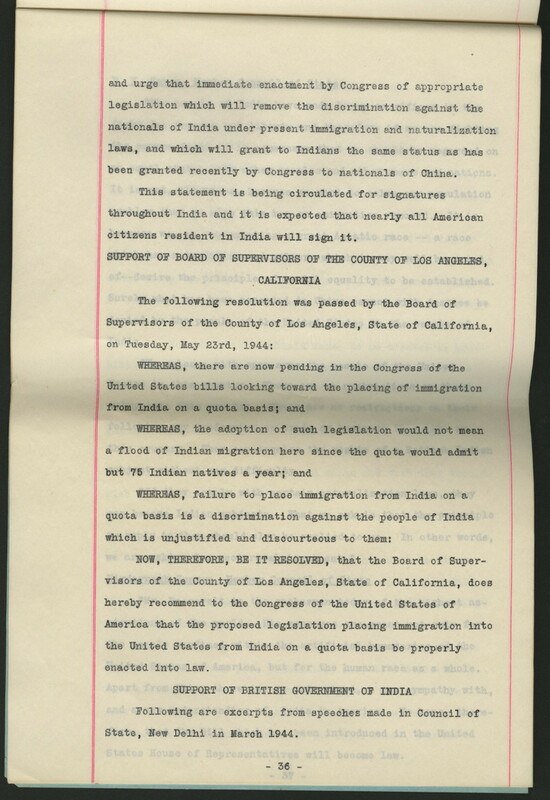 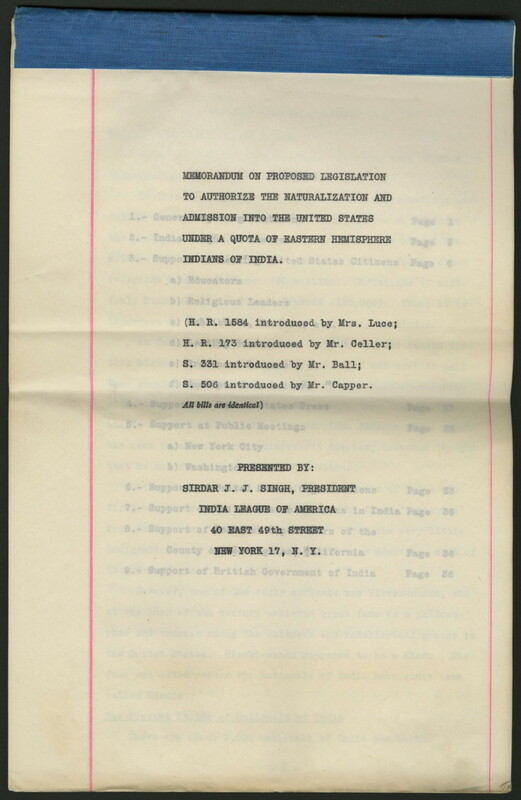 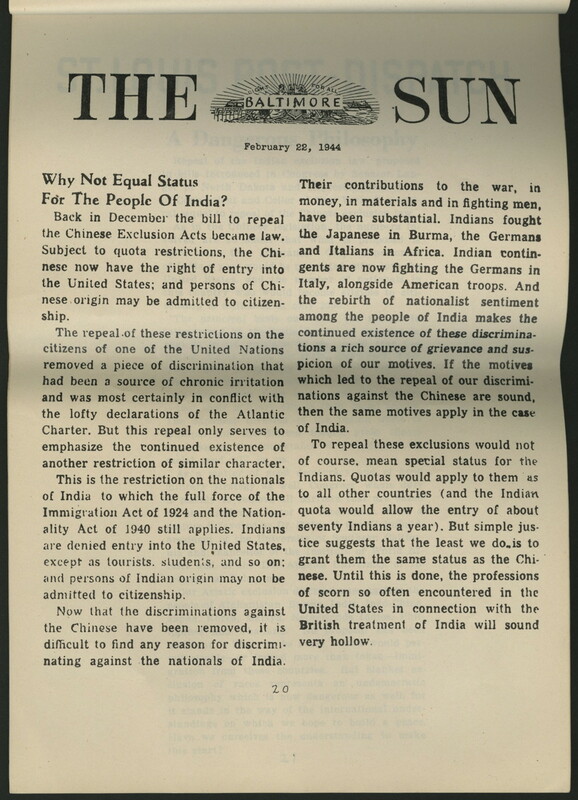 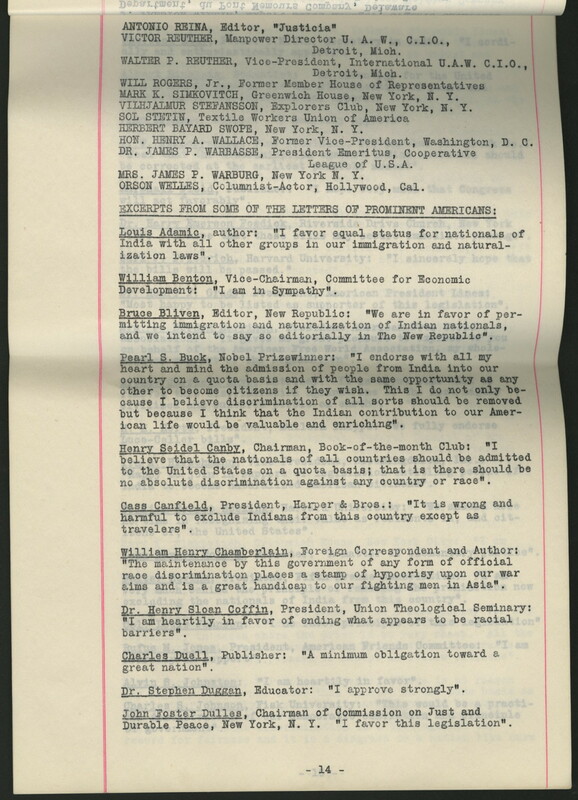 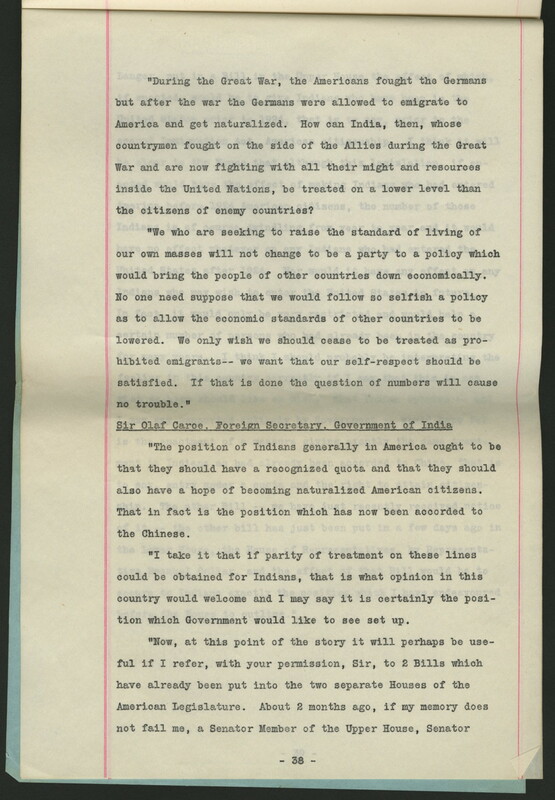 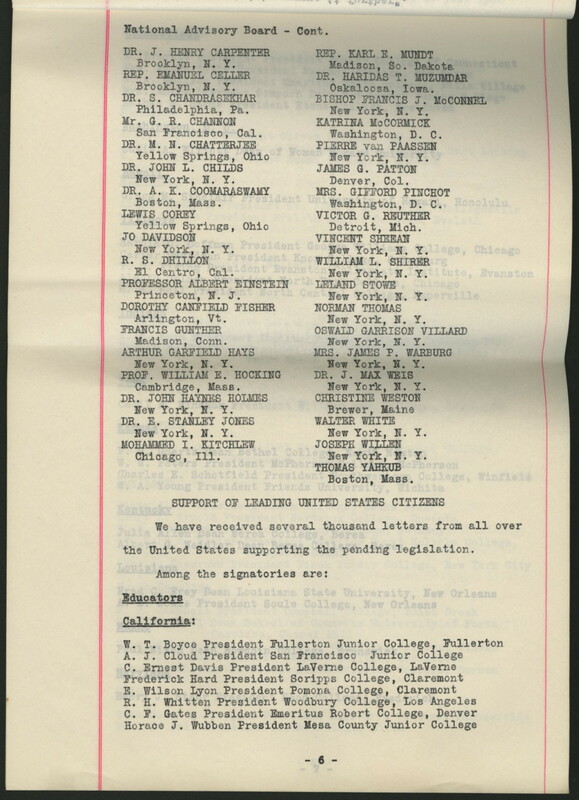 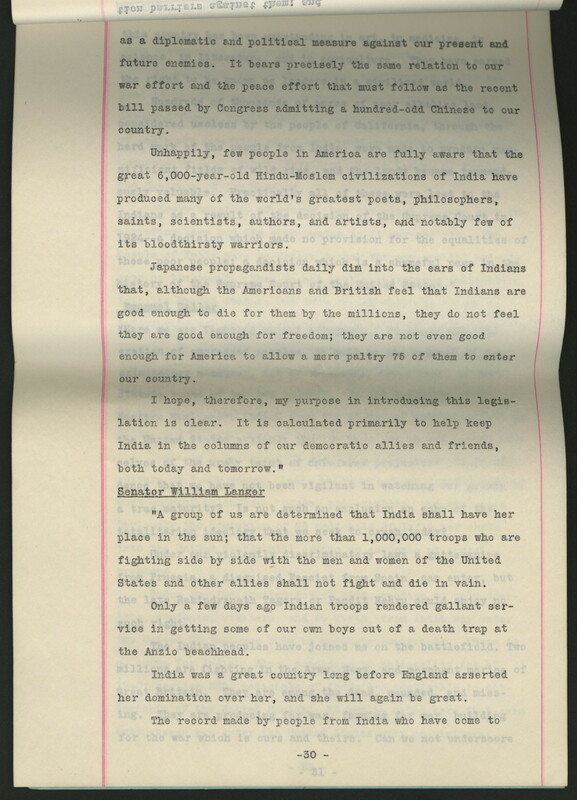 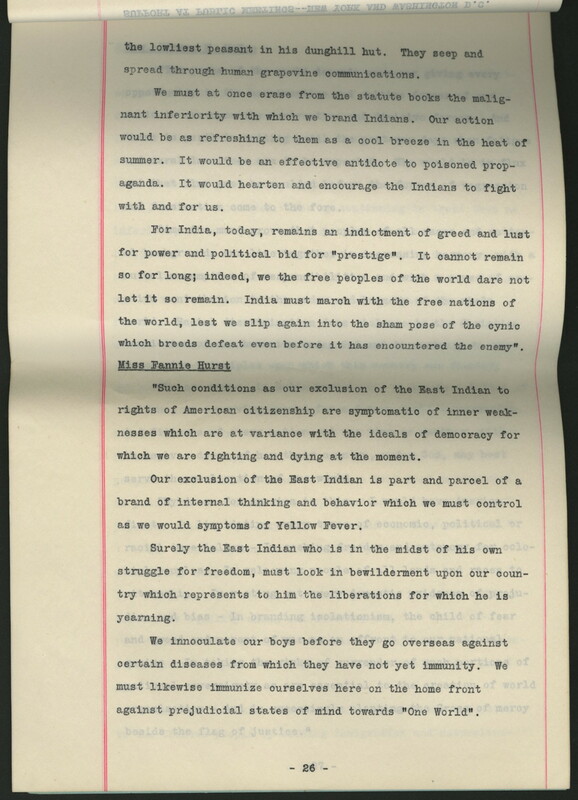 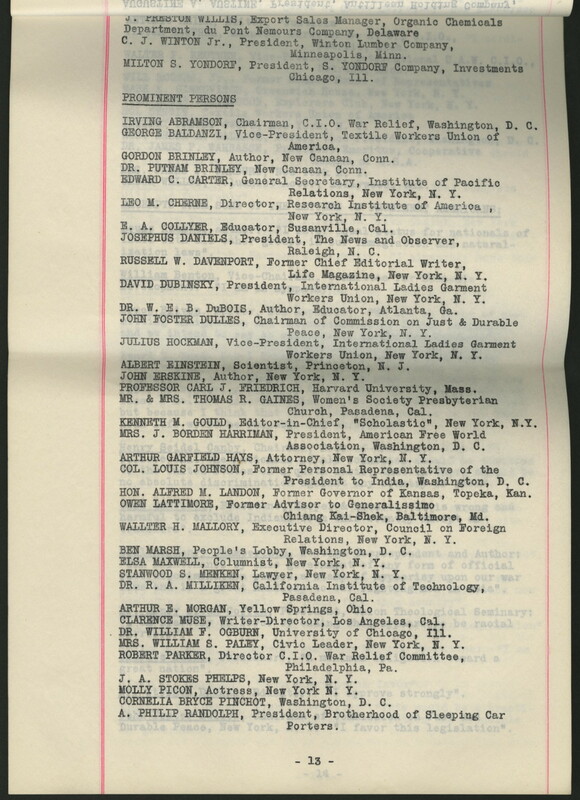 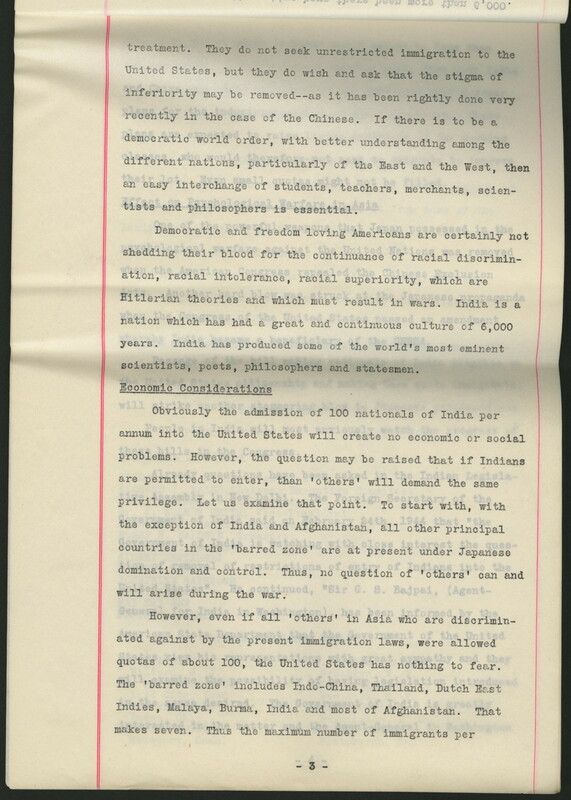 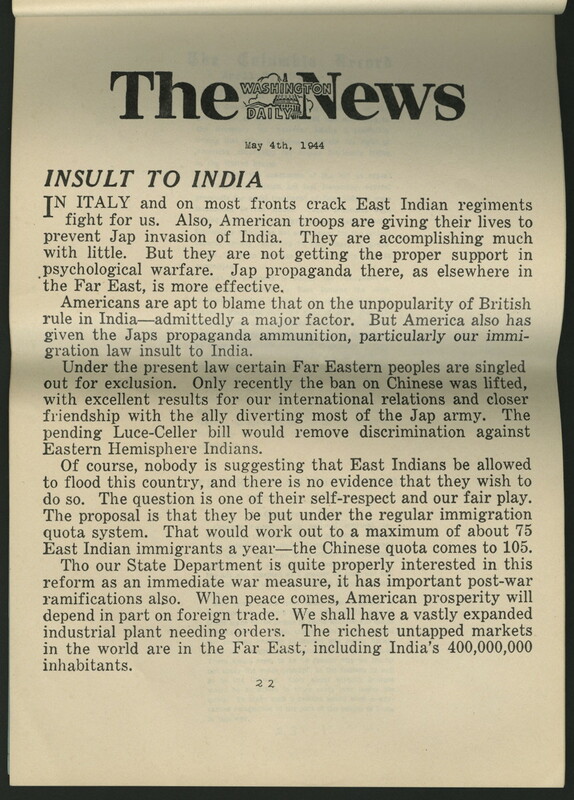 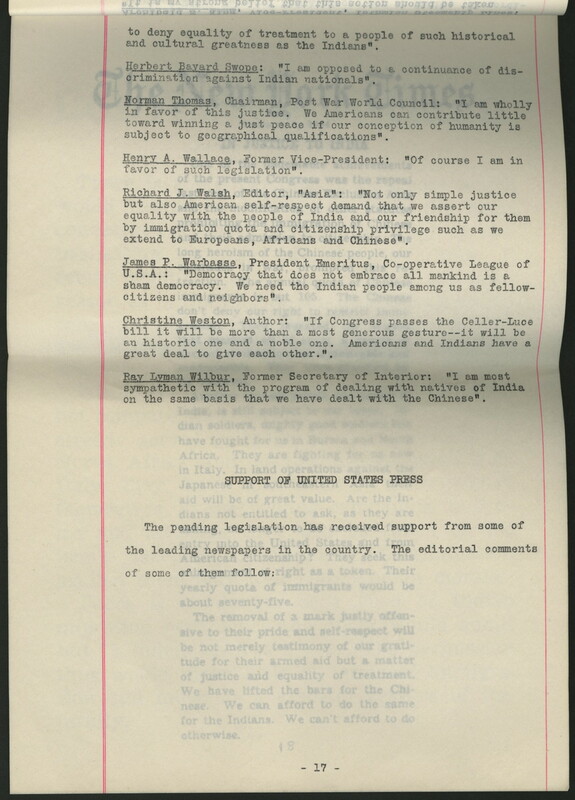 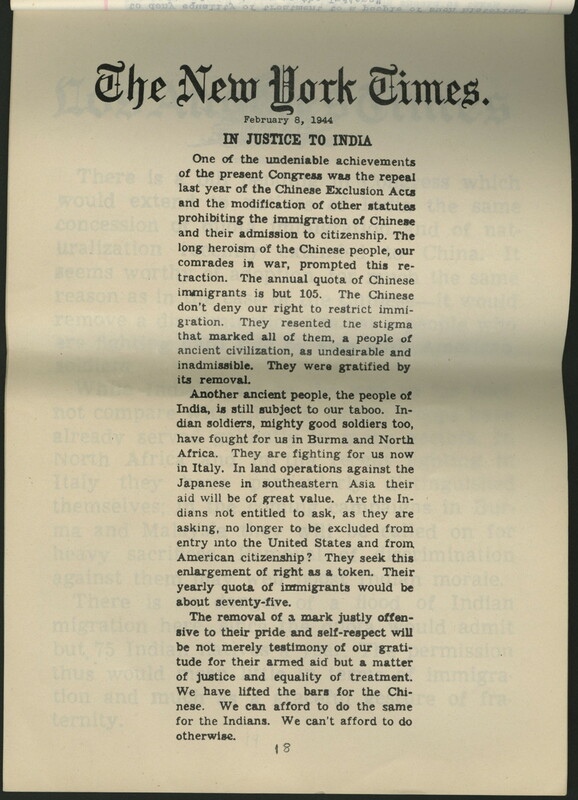 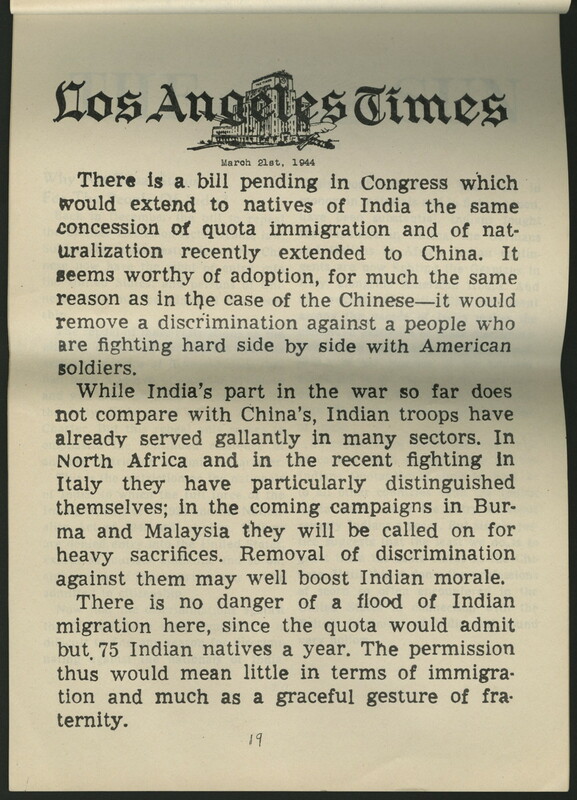 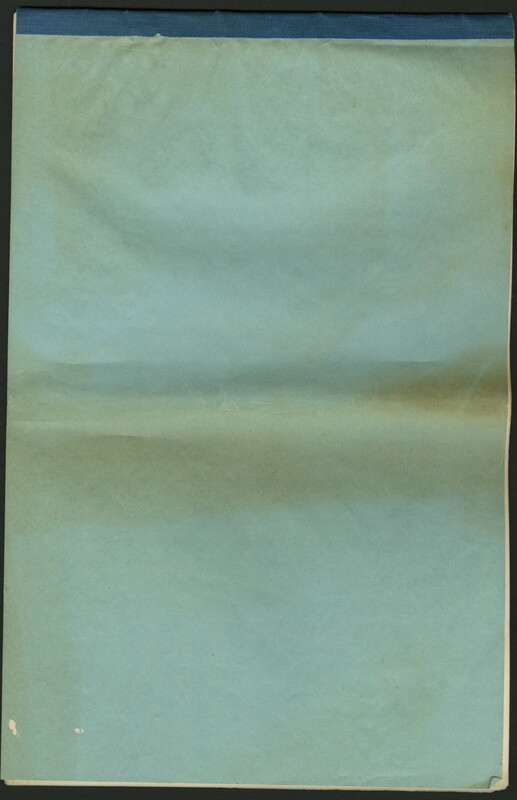 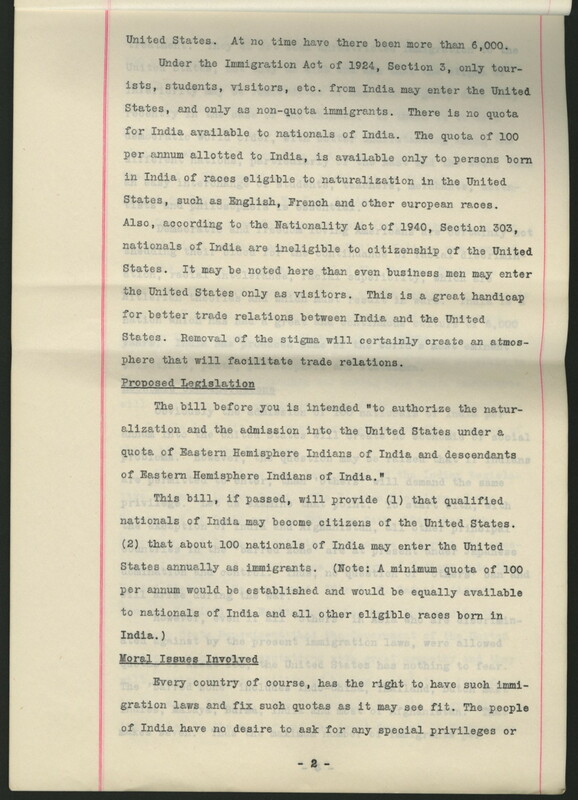 Memorandum on Proposed Legislation to Authorize the Naturalization and Admission Into the United States Under a Quota of Eastern Hemisphere Indians of India, presented by Sirdar J.J. Singh, President of India League of America. 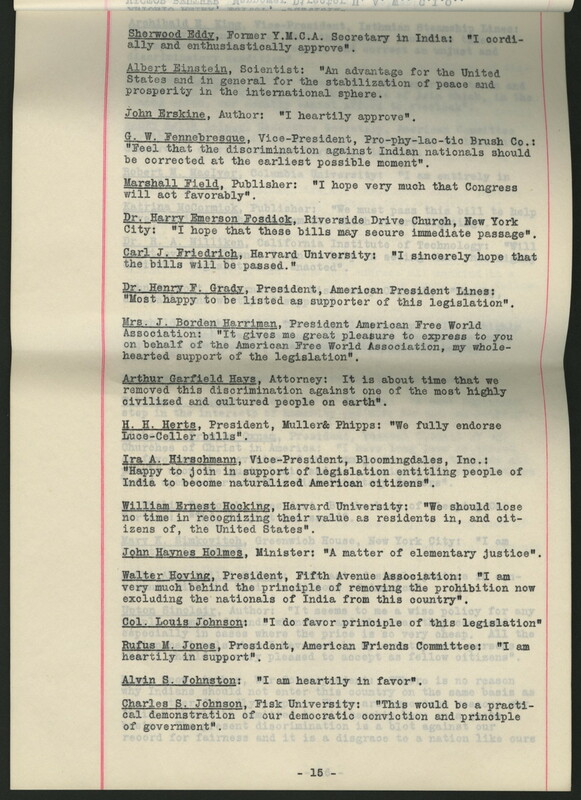 The document contains an assortment of statements by vested interests (U.S. representatives, individuals, organizations) in favor of the legislation, as well as newspaper clippings weighing in on the proposed bill. 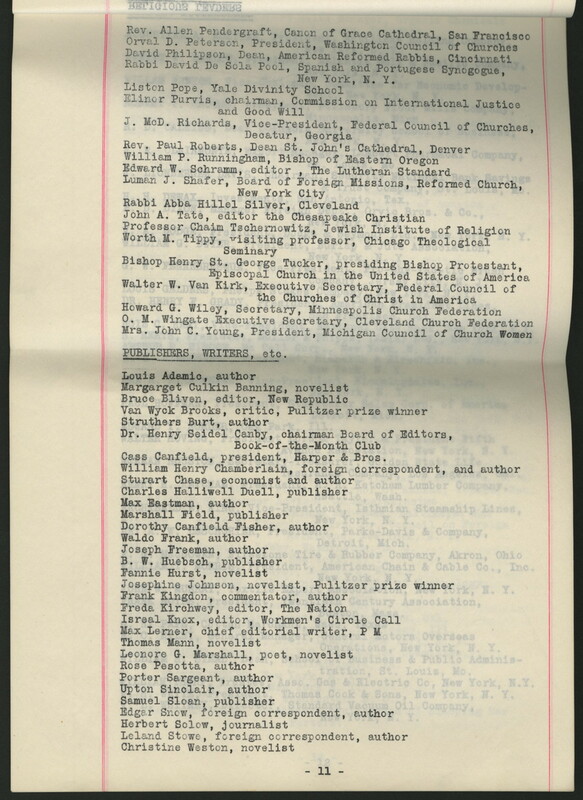 Statements are provided by Emanuel Celler, Fannie Hurst, Rev. 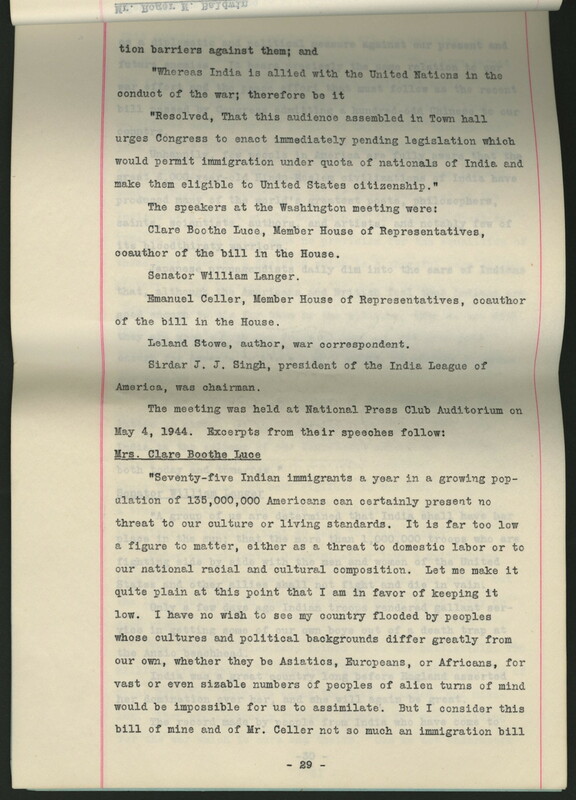 Elmore M. McKee, Roger Baldwin, Clare Boothe Luce, Senator William Langer, Emanuel Celler, and J.J. Singh. 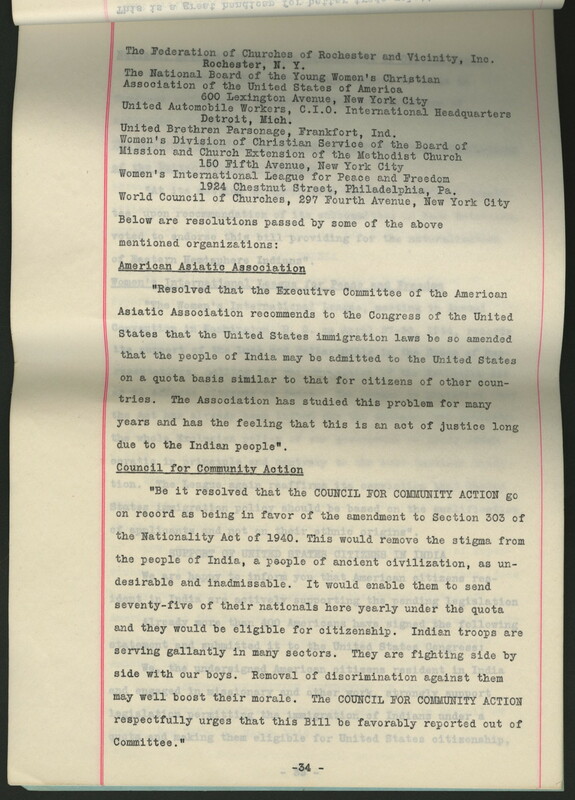 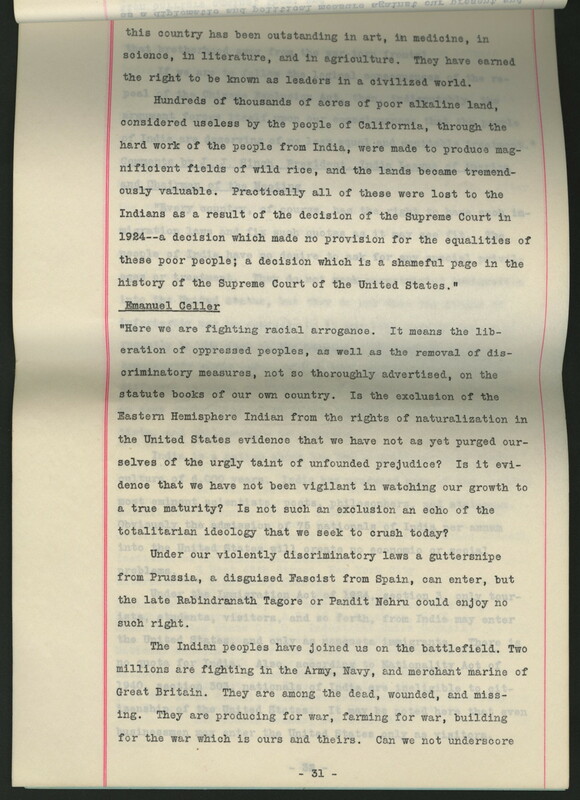 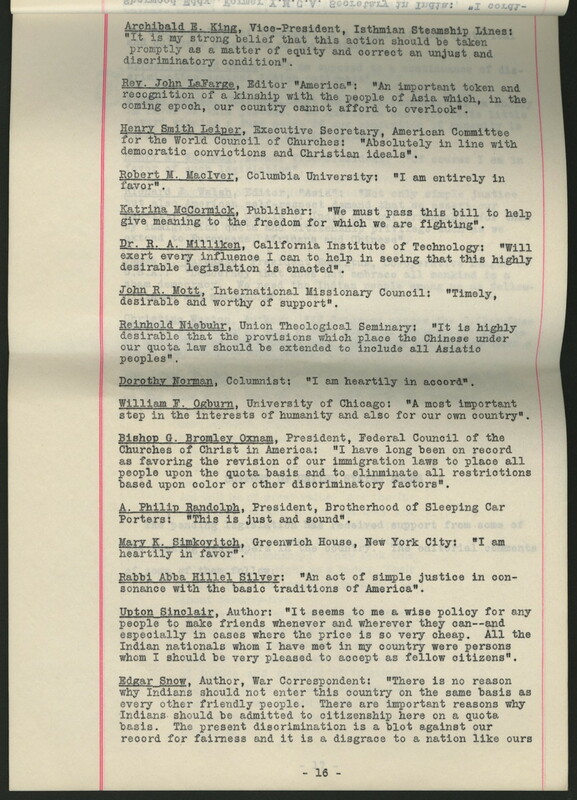 Also included are resolutions in favor of legislation passed by organizations like American Asiatic Association, Council for Community Action, the National Association for the Advancement of Colored People, National Board of the Young Women's Christian Associations of the United States of America, Women's International League for Peace and Freedom, and the Board of Supervisors of the County of Los Angeles, California. 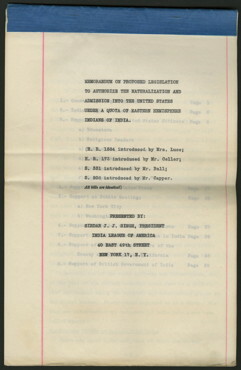 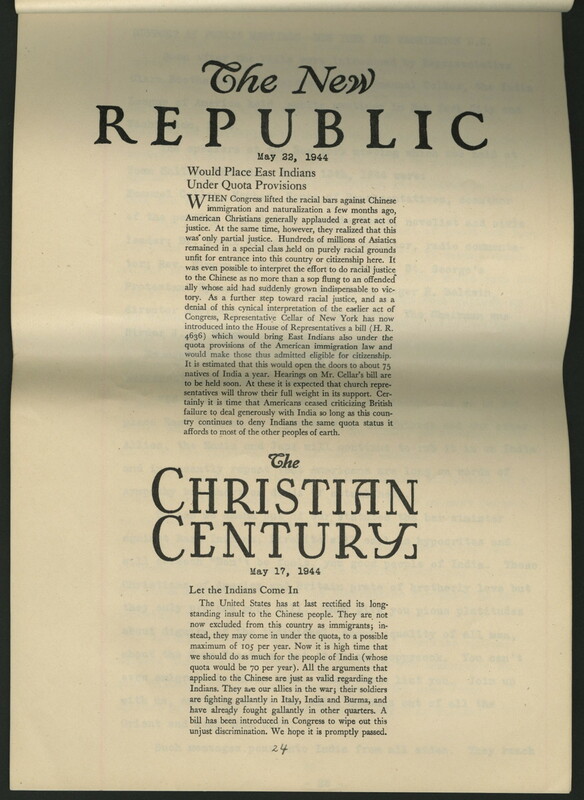 The final pages include excerpted speeches by P.N. 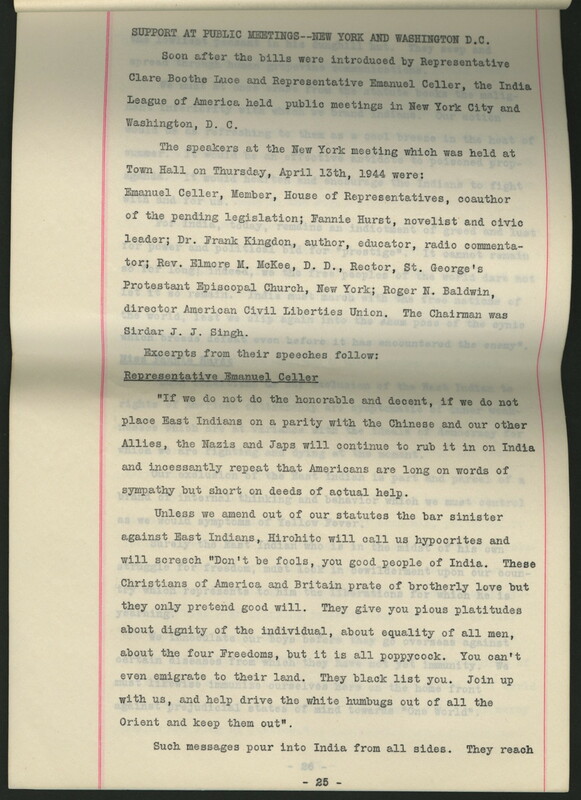 Sabru, Hirdaynath Kunzru, and Sir Olaf Caroe made in Council of State, New Delhi in March 1944.